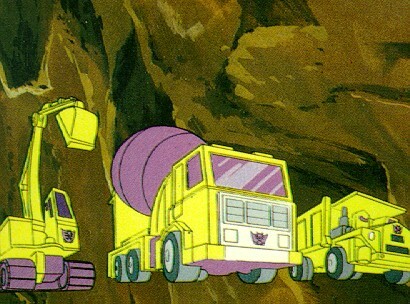 The Constructicons steal the parts of the "Power Converter" and terrorize some construction workers in the process. 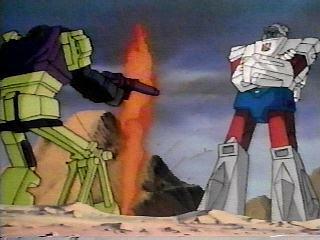 Mixmaster and Long Haul used some weapons they never used again in the show. 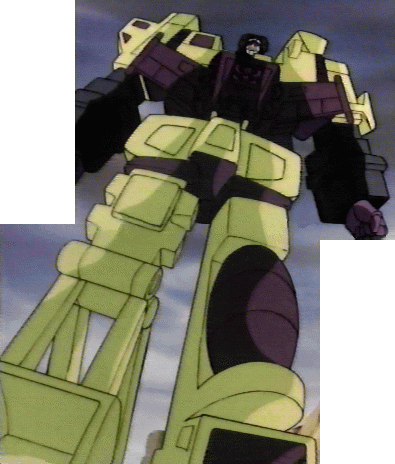 The Constructicons build a device to allow Megatron to obtain all of the Decepticons' special abilities. 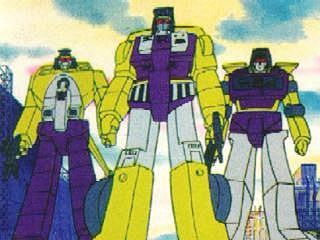 This was the time the Constructicons were formally introduced. 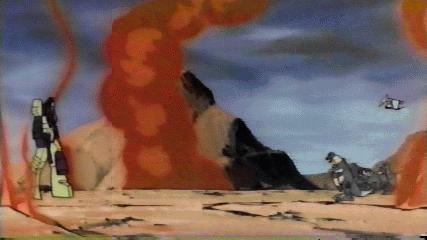 I spent a lot of time trying to get the pic to look like this. 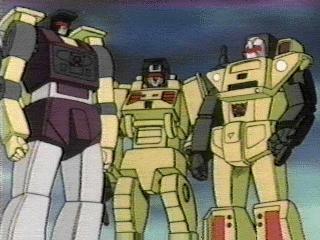 Scavenger, Mixmaster, and Long Haul under Autobot Headquarters. 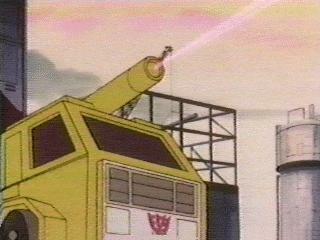 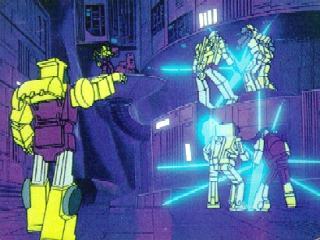 Then Scavenger, Mixmaster, and Scrapper are shown attacking the Dinobots inside Autobot Headquarters. 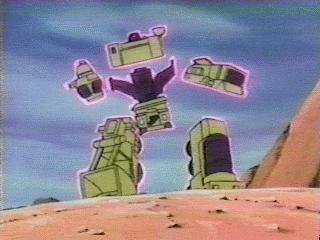 The Constructicons don't have a lot of success fighting the Dinobots. 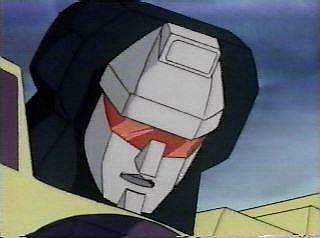 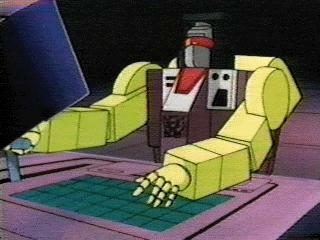 Scrapper orders "Merge into Devastator." 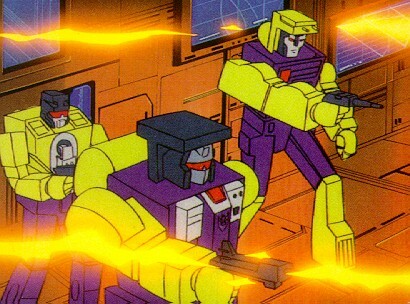 In the ep, when the Constructicons merge they transform in a very similar manor to that of the their toy line counter parts. 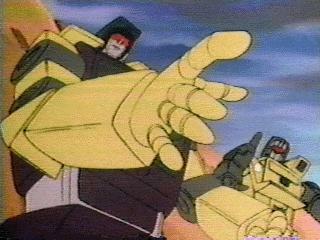 The shot of them merging was at an angle hence the lack of a rectangular shape for this screen grab. 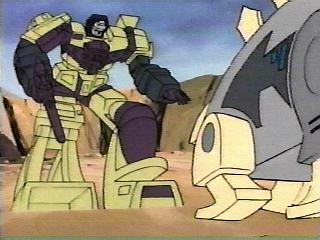 This is the scene of "Heavy Metal War" where Devastator is first shown. 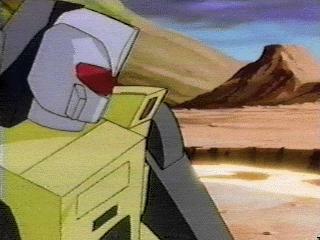 He replies to the Dinobots: "Prepare to meet you doom, nothing can withstand the might of Devastator!" 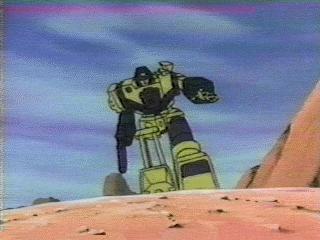 These pics are of Devastator looking and then effortlessly kicking Snarl. 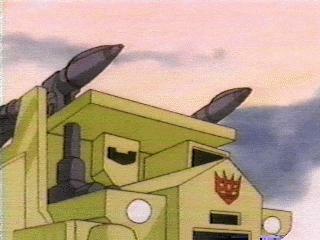 This is a shot of the first time Autobots other than the Dinobots saw Devastator. 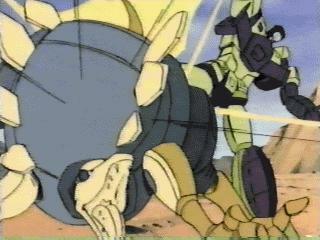 The second pic is a close up of the situation. 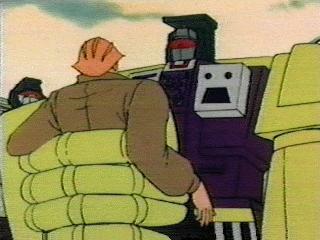 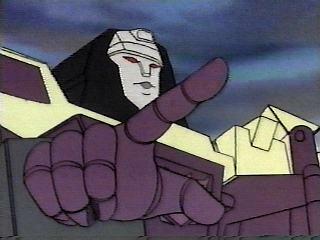 This is a pic of the hologram that scared Devastator. 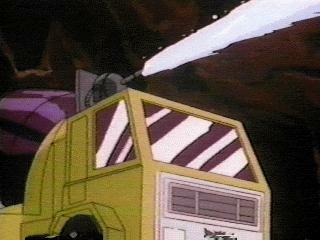 While Devastator is distracted, Prime shoots him in the gut and he separates.